Most people believe that a bright and healthy smile is a sign of an optimum state of health and excellent oral hygiene practices. We address each client case individually and we take time to deal with each treatment procedure that’s suited for our clients. Every individual’s needs are unique when it comes to teeth whitening. There are discolorations of the teeth that probe deeper into the dentin while other teeth stains may be superficial at all. As we address each case individually, we also present our clients with better alternative choices such as porcelain or composite resin veneers. We cater to clients who lead a fast-paced lifestyle that’s why we have offer an in office teeth whitening service for you. It is a fast yet safe procedure that will take up only as little as one hour. The time span includes priming of the teeth and the application process itself. If you prefer an even more convenient teeth whitening application, we also offer teeth-whitening kits that you can take home for your convenience. The kit includes whitening gel packs and custom trays that are personalized in order to suit your needs. 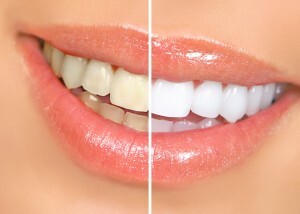 We also offer teeth whitening services combined with ceramic veneer installation and other cosmetic dental treatments.